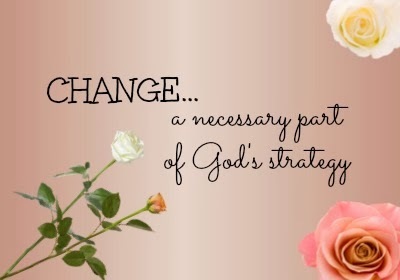 Change is not only a part of life; change is a necessary part of God's strategy. To use us to change the world, he alters our assignments. Paul: from local rabbi to world evangelist. God transitioned Joseph from a baby brother to an Egyptian prince. Peter wanted to fish the Sea of Galilee. God called him to lead the first church.